to view the full 17 pages of the document. assets is less than the value of its debts. 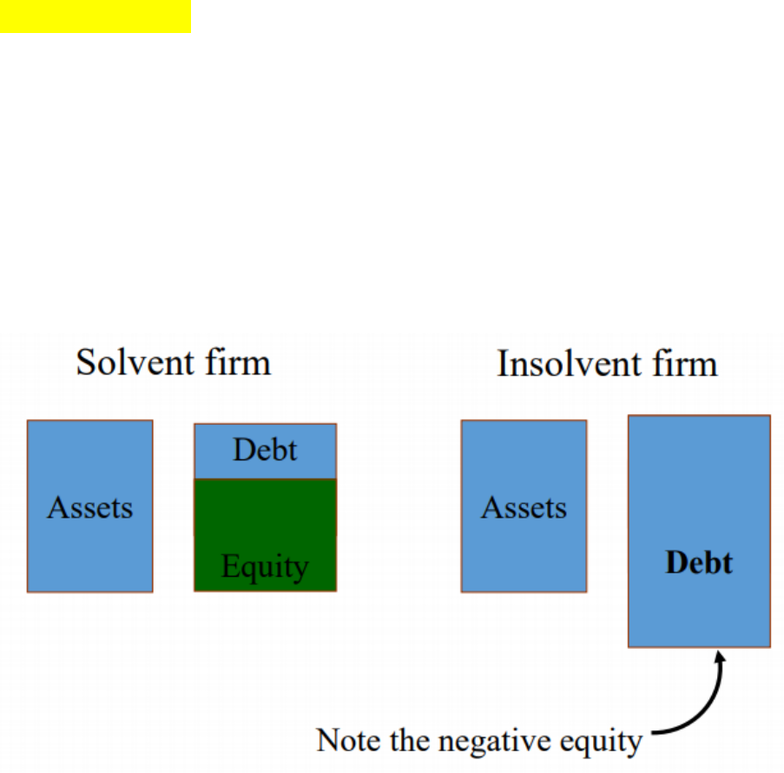 Stock-base insolvency: the value of the firm’s assets is less than the value of the debt. Week 11 lecture 11 chapter 30: financial distress. Financial distress is surprisingly hard to define precisely - the list of events is almost endless, but here are some examples: dividend reductions, plant closings, losses, layoffs, ceo resignations, plummeting stock prices. Financial distress is a situation where a firm"s operating cash flows are not sufficient to satisfy current obligations (such as trade credits or interest expenses) and the firm is forced to take corrective action. Financial distress may lead a firm to default on a contract, and it may involve financial restructuring between the firm, its creditors, and its equity investors. Usually the firm is forced to take actions that it would not have taken if it had sufficient cash flow. 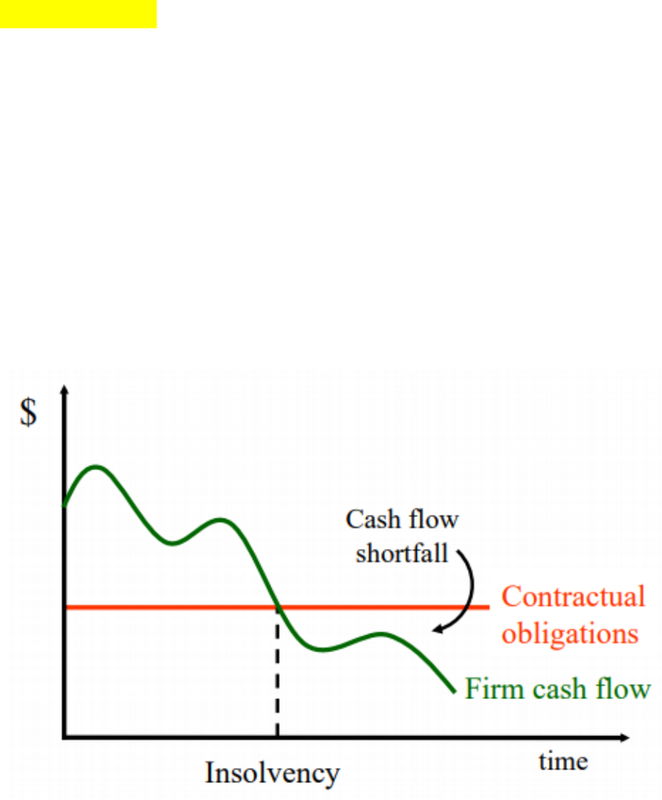 Flow-base insolvency: flow-based insolvency occurs when operating cash flow is insufficient to meet current obligations, flow-based insolvency refers to the inability to pay one"s debts.